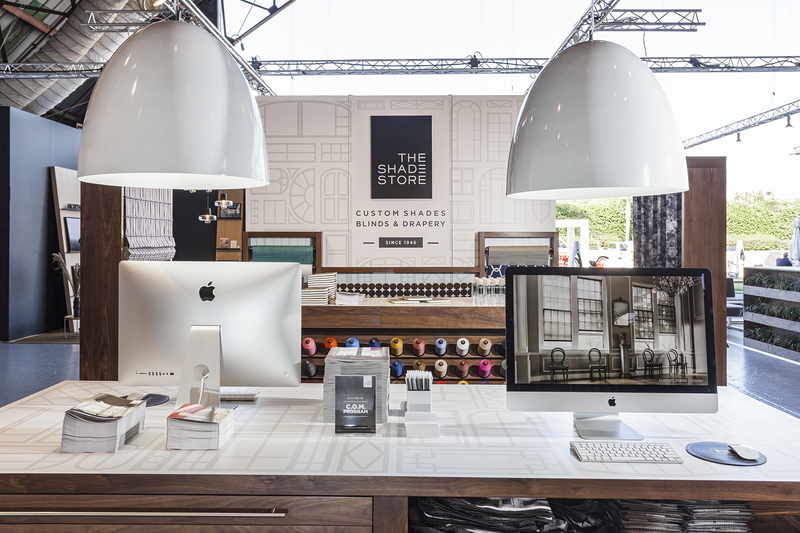 The Shade Store was thrilled to be a part of last week’s WestEdge Design Fair in Santa Monica, an exhibition of design-forward brands, artisans and manufacturers from across the globe. 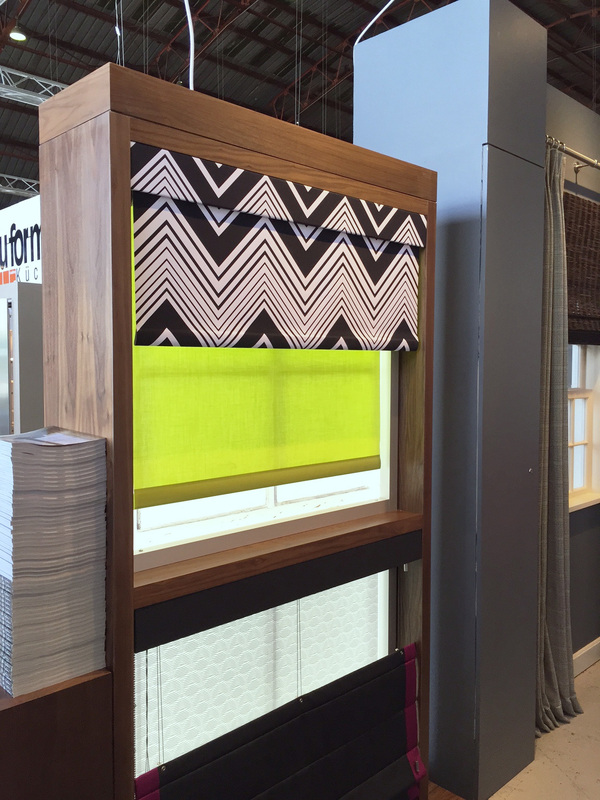 It was a great chance for us to meet longtime fans, make new friends and showcase our newest products and materials — including our exclusive collection from The Novogratz and our brand-new printed blackout roller shades! 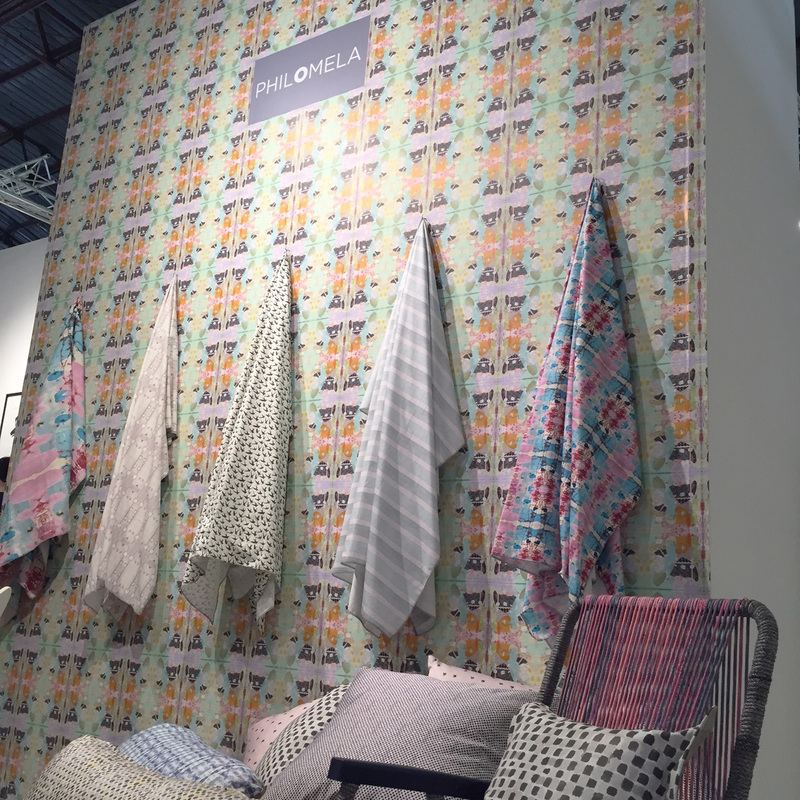 As self-diagnosed design nerds, we were equally excited to scope out our neighboring booths for new finds — and we were not disappointed! 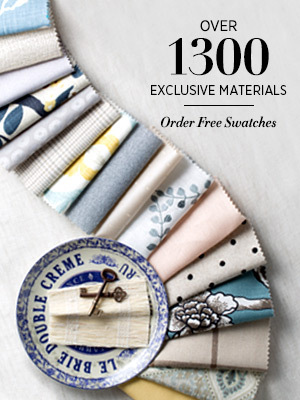 We crushed hard on the light-hearted fabrics and wallpaper from textile company Philomela. From Rorshach-inspired prints to playful polkadots, Philomela’s offering was unique and refreshing. We especially loved Bird by Bird (center of wall) — a fun pattern that reminded us of rustic woodblock prints and a certain Hitchcock film. 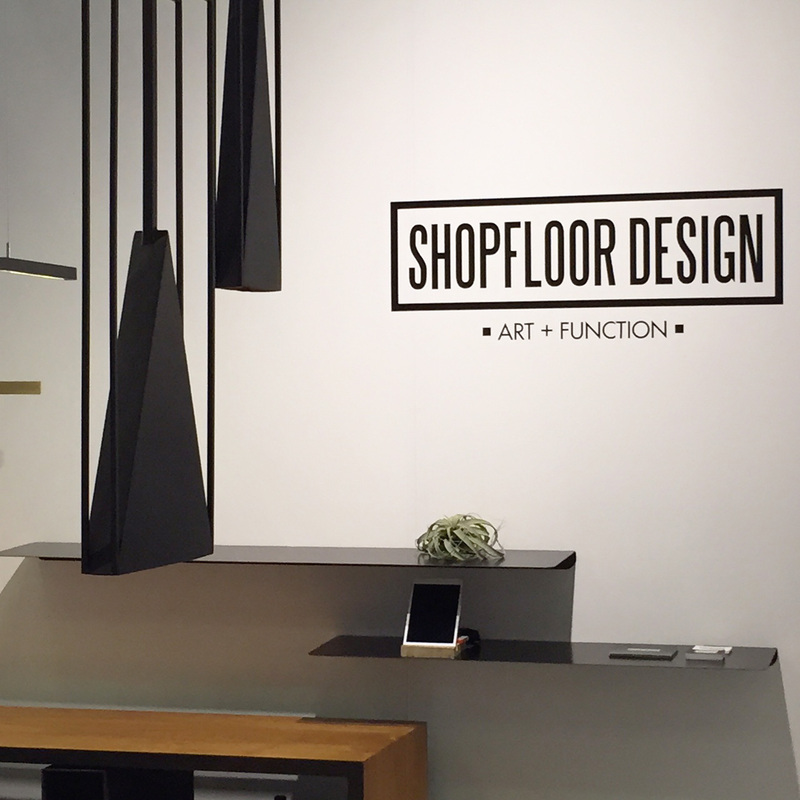 The folks at Shopfloor Design wowed us with their simple floating shelves in natural steel, pictured here with structured-yet-airy hanging pendants. Can’t wait to see what’s next from them. 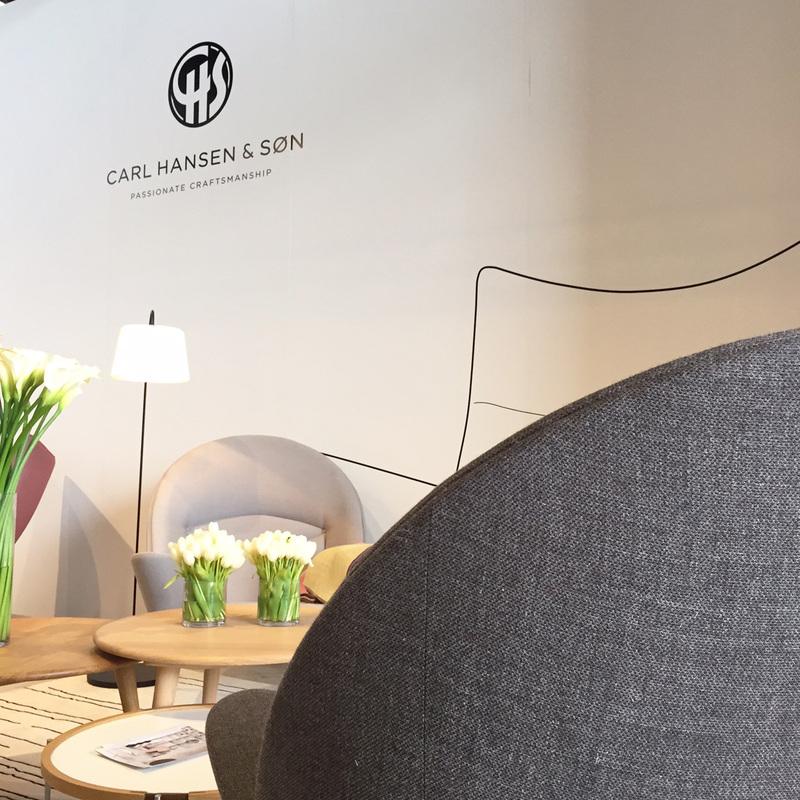 Always on the lookout for other family businesses, we loved the offering from Carl Hansen & Son — a Danish furniture powerhouse with a long history in modern design. 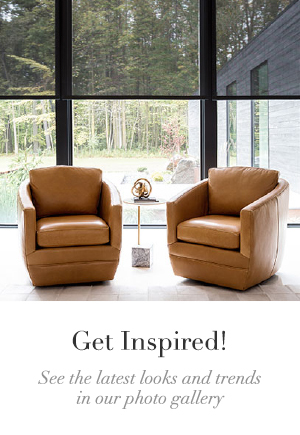 Their Oculus chair, pictured above, is an enduring classic — and comfortable spot to check emails during a busy day at a trade show. 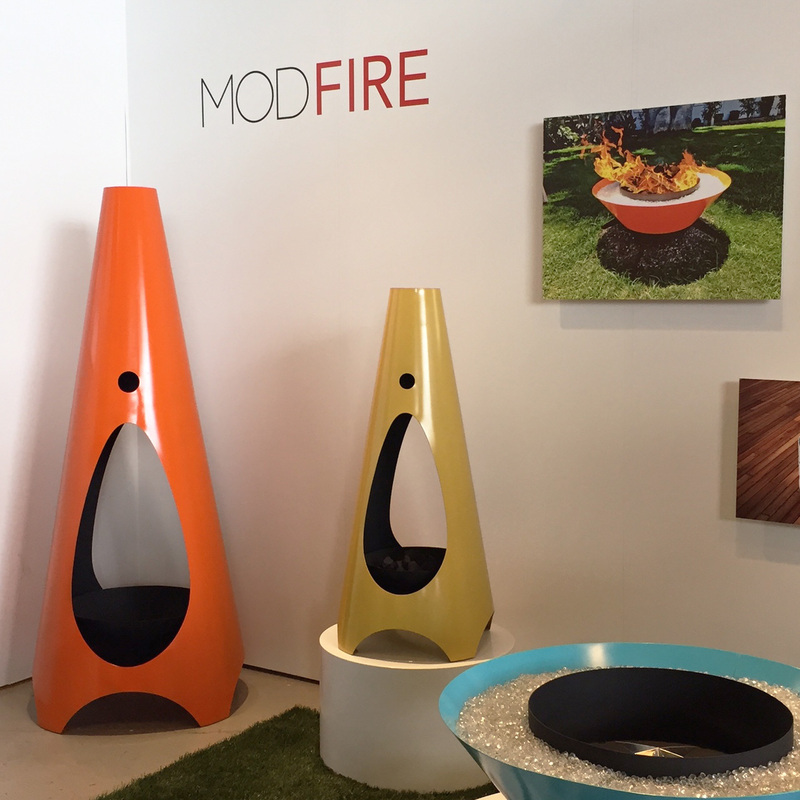 Our final fave was the Modfire booth — showcasing a super-cool line of outdoor fireplaces inspired by sixties rocket design. 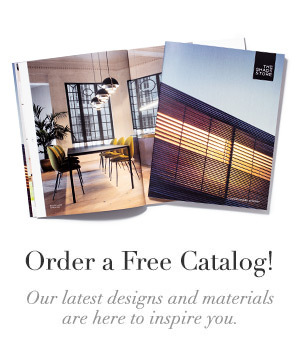 The Phoenix-based company handcrafts each piece in their metal shop and offers a wide range of bright enamel and natural metal finishes. Thanks WestEdge — we loved every minute of our stay in Santa Monica. Can’t wait to be back in town for the opening of our new showroom on Montana Blvd this winter!